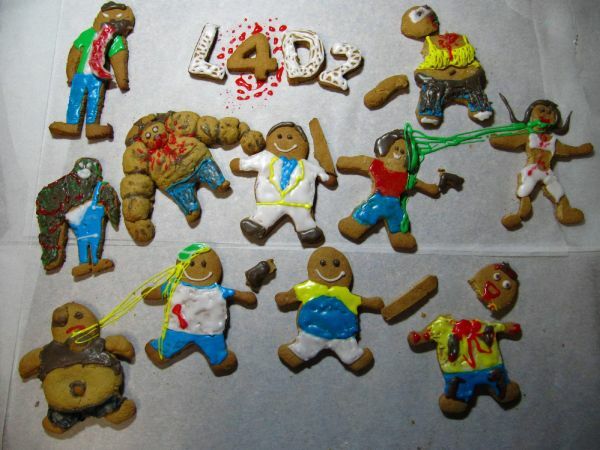 Co-Optimus - News - Left 4 Dead 2 Holiday Cookies are Tasty...and Deadly! Nothing says Happy Holidays quite like headless zombies, boomer bile, and lots and lots of sugar. These Left 4 Dead 2 cookies are made of wholesome gingerbread and make the perfect gift for the zombie slayer in your house this year. Of course if you need other gift ideas you can check out our Gift Guides for the: Xbox 360, PlayStation 3/PSP, Nintendo Wii/DS, PC, and Gadgets. Which cookie is your favorite?